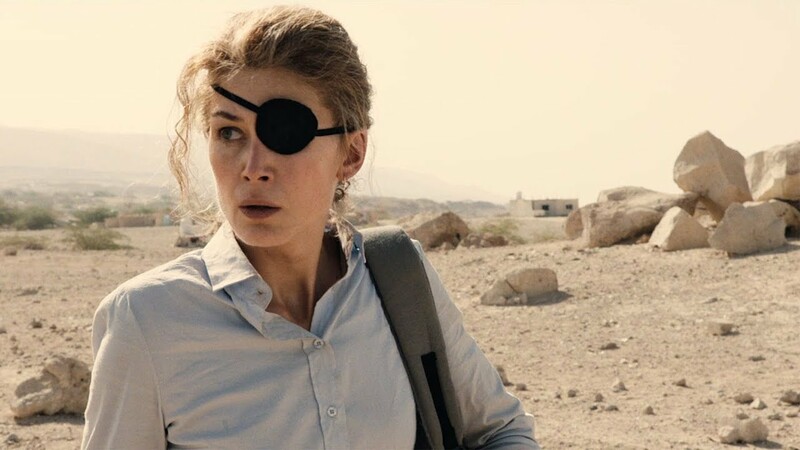 The biggest question on my mind since leaving A Private War is how on Earth Rosamund Pike's performance is not getting more awards attention. Every year there's that one film that gets a dip in at the Golden Globes and gets dropped at the Oscars in exchange for another (less deserving) film and A Private War is that this year. Rosamund Pike plays real-life superhero, Marie Colvin who goes to extraordinary lengths for her journalist career. She's been in all kinds of war-torn countries and seen horrors that few Westerners will experience in their lifetime but it isn't without a cost. Colvin ages over 11 years in this film beginning in 2001 and ending at her death in 2012. Not only does she undergo an incredible physical change, you see her mental health deteriorate with each horror she faces and Pike doesn't make it a gimmick. It's something we can all recognise if we are unfortunate enough to have seen a loved one wrestle with addiction. Pike plays with the superhero trope to begin with. Charging through the battlefield, brashly shouldering off any exterior pressure from co-workers, speaking her mind and taking her job so seriously that she holds up a gym card to cross through the Iraqi military hoping they'll only understand the word "health" and mistake her for a nurse. She isn't held on a pedestal like the traditional superhero, she is a flawed human who makes mistakes throughout. It explores PTSD in a way I do not feel qualified to discuss as it's not a trauma I have experienced but the idea of her home becoming her own war zone was done beautifully. The director (Matthew Heineman) utilised the relationships in Marie Colvin's life as a way to explore a well rounded vision of her personality. You could see how Colvin's attitudes towards coworkers were different to friends. The most highlighted of these relationships was with her photographer, Paul Conroy, played exquisitely by Jamie Dornan. The two of them built this brilliant chemistry that showed just how intricate and nuanced their friendship was and also how vital they were to each other's survival. A Private War is political commentary in film at its finest. It has meaning in the now even though it spans from 18 to 7 years ago, it makes a comment on when enough will be enough and though that comment is never answered, Matthew Heineman and his crew do a damn good job of trying. You can read the article that inspired this film by clicking here.